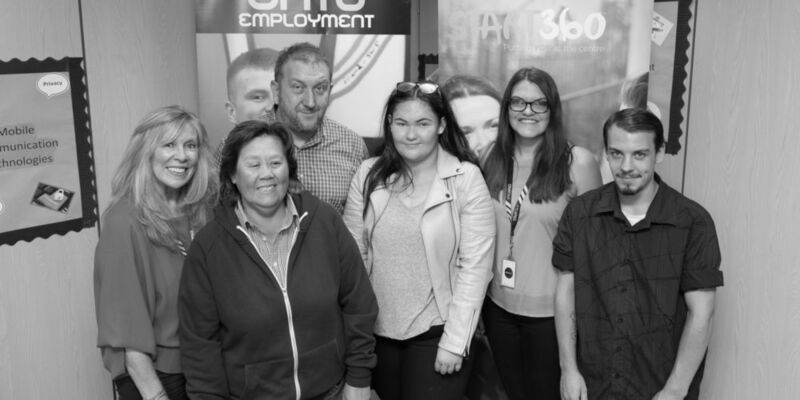 The young people involved in Start360’s Switch onto Employment service came together on Thursday for a double celebration. Funded by the Department for the Economy, through the European Social Fund, SOE is a project designed to meet the literacy and numeracy needs of 16-24 year old young people who are not in employment, education or training. The first part of the evening was devoted to presenting their certificates and records of achievement, with great news having just arrived of success in recent OCN NI qualifications. We were delighted to welcome Kerry Young and Russ Litten, from the Arvon Foundation, to our celebration event. Every year, a group of Start360 young people attends an Arvon creative writing residential at one of their properties in England – a brilliant opportunity which is funded by the McGrath Charitable Trust. Russ spoke about his experience working with Start360 and presented copies of our latest Arvon Anthology to the young people who had taken part.